Of all the characters in the Bible it could be that Peter is one that people relate to the most. This is just simply because of how flawed he was, and yet Jesus chose him as the first leader of the church that he came to establish by his death and resurrection. You have to wonder though, why Jesus took a chance with Peter. Just as Jesus was lead off to be crucified, Peter denied even knowing him and more than that, Jesus KNEW he would do that! He actually knew all along that Peter would wimp out and this is the man he was banking on to lead the believers after he had gone. Surely you think he would have had his doubts about his choice? Afterwards of course, Peter was a broken man. He had completely failed and done exactly what Jesus had said he would. Who on earth could come back from that? What was there left to do? Give up completely and go back to being a fisherman? Forget about Jesus, just go back to your old life. How could he ever live it down – or even look the other disciples in the eye again? That’s why, after Jesus was resurrected, he had to reinstate Peter and show him forgiveness. In doing so, Jesus was saying “Peter, I need you leading my church and you’re no good to me moping about regretting your mistake for the rest of your life”. Peter needed Jesus’ forgiveness and he needed the power of the Spirit which fell on them all at Pentecost, because Jesus needed Peter to let go and move on from what he did. 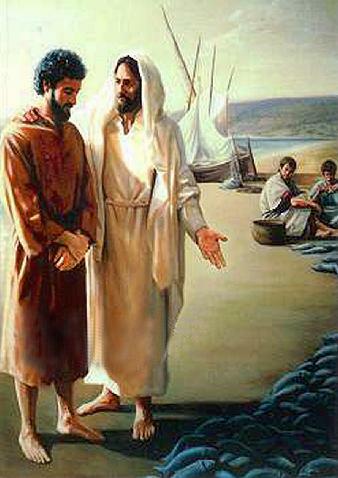 Later on, Peter was to be used in mighty ways to bring healing to people who needed it, just like Jesus had done. More and more men and women believed in the Lord and were added to their number. 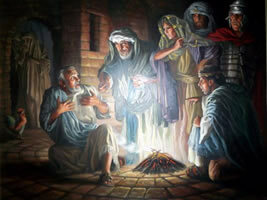 As a result, people brought the sick into the streets and laid them on beds and mats so that at least Peter’s shadow might fall on some of them as he passed by. What would have happened had Peter never recovered from the night Jesus was arrested? What if he had never forgiven himself and had constantly reminded himself of how he’d denied Jesus and let that keep him stuck in the past so that he could never be used by God ever again? God wants us to know his forgiveness because we are no use to him dwelling on past sin and living in a constant state of guilt. He needs us to accept his forgiveness (which means forgiving ourselves) so we can move on and do the works he has given us to do to bear fruit for his Kingdom. Don’t get stuck in a moment. God wants to forgive you and let you move on.